Commonwealth Games and World Indoor Championship gold medallist Katarina Johnson-Thompson has been confirmed as a Müller brand ambassador – completing the dairy company’s first ever athletics squad. 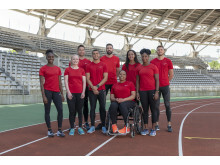 Joining existing Müller Corner brand ambassadors Dina Asher-Smith and Müller Rice brand ambassador Adam Gemili, the dairy company has also welcomed athletes: Andrew Pozzi, Kadeena Cox MBE, Martyn Rooney, Hannah Cockroft MBE, Laura Sugar, Vanessa Wallace and Brian Gregan to the Müller family. “I’ve grown up with athletics and Müller yogurts so I’m really excited to work with such a fun brand that not only makes great products, but is also helping to raise the profile of our sport. Müller, who are ranked at No.7 in The Grocer’s Top 100 list of Britain’s Biggest Brands, and the only dairy brand in Kantar Wordpanel’s top ten most chosen FMCG brands, now has a squad of ten athletics brand ambassadors as the business continues to grow the foundations of athletics, inspire the next generation and encourage consumers to live active and healthy lifestyles. 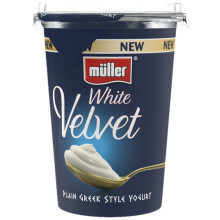 Following a recent YouGov survey which found that athletics was the most exciting sport to watch, Müller is maximising their athletics partnerships, across their branded portfolio of products, to also add further inspiration to the dairy category. 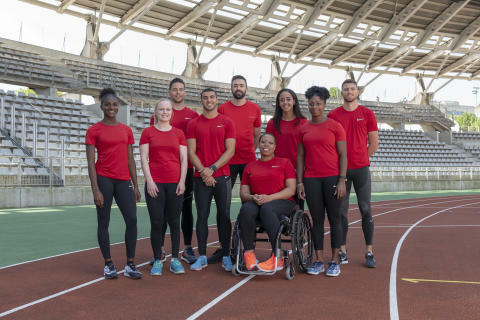 The squad will appear across Müller’s ongoing athletics inspired multimedia campaign, which includes new television adverts, digital and print advertising and three limited edition multipacks, inspired by their status as Official Partner of British Athletics and Athletics Ireland. In addition, a Müller Corner on pack promotion, which began on 1st May, gives purchasers the chance to win a visit from a British Athletics/Athletics Ireland athlete to a school of their choice, as well as £2000/€2,275 worth of sports equipment. 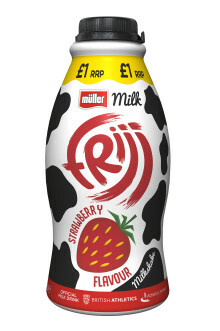 Müller has branding and activation rights for seven major athletics events in 2018 and 2019, and the extended brand ambassador line-up is part of the dairy company’s almost 25% increase in marketing spend. This will ensure that Müller’s growing portfolio of branded products benefit from sustained and focused support in line with the company’s ambitions. Müller is the title partner for the Müller Anniversary Games, Müller Grand Prix Birmingham and Müller Indoor Grand Prix in 2018 and 2019, and was also national partner for the IAAF World Indoor Championships Birmingham 2018. 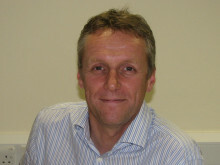 “Our ambition is to create everyday moments of pleasure for our consumers, and through our athletics partnerships with the most exciting sport in Britain, we are growing the foundations of athletics, inspiring the next generation and encouraging consumers to live active and healthy lifestyles. Following the successful partnership between Müller UK & Ireland and British Athletics in 2016 and 2017, Müller has announced that they will extend their association until the end of 2019.